Use as an indoor spot spray or crack and crevice treatment. Spray in an inconspicuous area to test for possible staining. Evaluate test area after drying. Hold container upright with nozzle aimed away from you. Depress valve and spray from a distance of 8 to 10 inches. Spray each square foot until damp. Use the straw applicator for crack and crevice treatment. Allow sprayed articles and surfaces to dry thoroughly before using. Do not allow children or pets to contact treated areas until surfaces are dry. 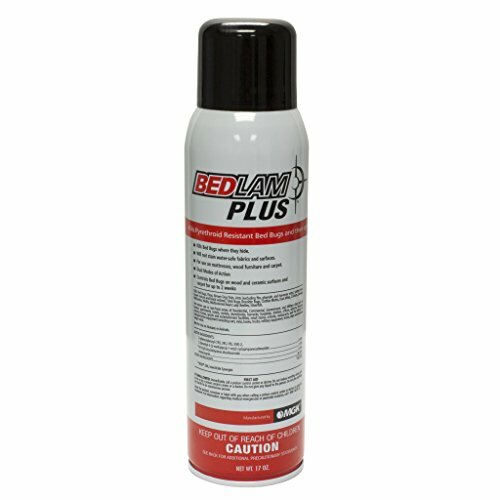 Apply as a spot or crack and crevice treatment where insects are harboring, traveling, or breeding. Treat interior entry points such as around windows, doors, and water pipes. Also treat feeding or hiding areas such as baseboards, carpet, floor, rugs, under refrigerators, cabinets, sinks, and stoves. If you have any questions about this product by Bedlam, contact us by completing and submitting the form below. If you are looking for a specif part number, please include it with your message.